Hello! 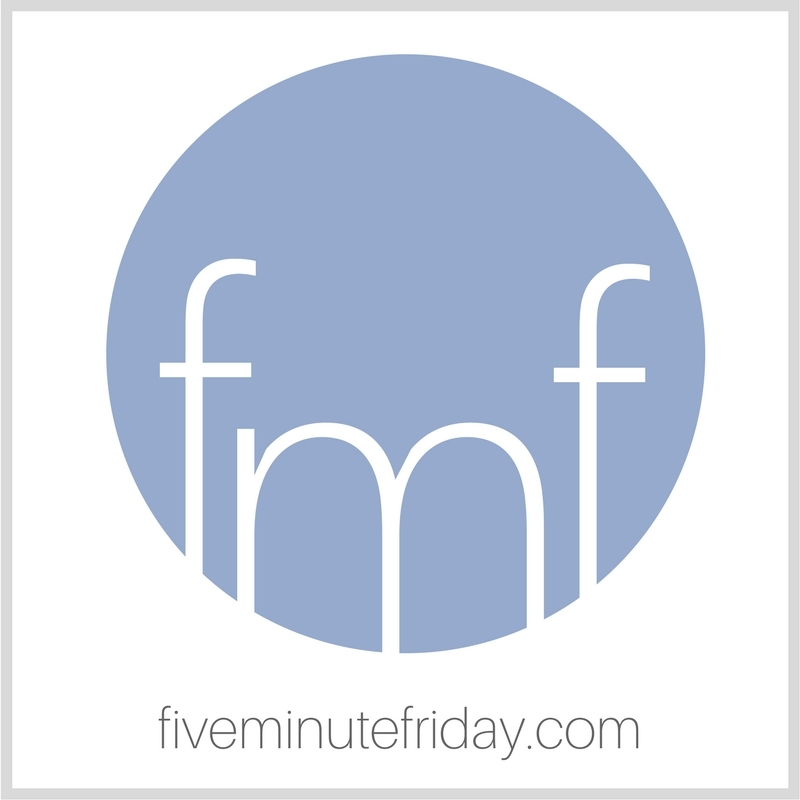 Welcome to this week’s edition of the Five Minute Friday link-up — a weekly blog link-up where we write for five minutes flat on a one-word prompt. If you’re new, you can learn more about the link-up and how it works right over here. This week we’re in for a special treat, as we have a special guest! Author Christie Purifoy is joining us in celebration of the release of her new book, Placemaker: Cultivating Places of Comfort, Beauty, and Peace. In honor of Christie’s new book . . .
It’s this bit of ground beneath my feet, and it is this particular patch of sky overhead. Today, the sky is blue. Not the intense blue of summer, but a slightly washed-out, still winter blue. Today, the ground is awful. I have one boot in slushy snow and one boot in sucking mud. There is an ancient autumn leaf glued to my toe. It isn’t always easy to love our place. It isn’t easy for me to love this muck and slush. Winter’s beauty is fading. Spring still feels so far away. But I know what this is. I have stood in this place before. I know this is a beginning. I know that a new season is even now springing up. Do I perceive it? I do. But, why oh why is it so ugly? Why does it tug at my boot like something alive? Something that feels an awful lot like despair? If I didn’t pay attention to the seasons, if I hadn’t watched this particular bit of ground and this particular patch of sky for year upon year, I might not recognize this despair for what it is. It is the moment right before hope begins to grow, like a deeply buried seed breaking open. It feels like discomfort and dissatisfaction. It looks like mud and mess and last year’s half-rotted leaves. But, this, right here, is a new and glorious beginning. I will plant my feet. I will dirty my hands. Because this place is where our dreams will take root. This place is where our dreams will grow. Christie Purifoy is a writer and gardener who lives with her family in an old red brick farmhouse called Maplehurst in southeastern Pennsylvania. She is the author of two books, Roots and Sky (Revell, 2016) and Placemaker (Zondervan, 2019) and co-hosts the Out of the Ordinary podcast with her longtime friend Lisa-Jo Baker. Connect with her and see more of life at Maplehurst on Instagram. …the moment before hope begins to grow. If I may, you inspire a sonnet. and my own strength would take me there. and simple tasks make me bleed. to push away the love I need. whose ending knot is my only hope. Oh wow! How exciting that Christie is the guest! I love it when my bubbles bump into each other. PLACE is an inspiring word. Christie, this is just beautiful! I loved Roots & Sky and am looking forward to reading this one as well! Beautiful post Christie– as someone who lives in the Northeast, the sense of longing and hoping for newness…a new season….really resonates with me right now. Beautifully written. Plant your feet and get your hands dirty Christie. Can’t wait for your dreams to be deeply rooted. So encouraging, Christie. So timely. Thank you! And congrats on your new book! I am now going to view the changes of seasons differently. You have reminded me to be patient for the beauty that’s coming. We wrote on “place” back in Aug. 2017 — I thought it sounded familiar, so I checked. But I’m sure I can come up with something new. DUH, I wrote the above comment *before* I read your post! That’ll teach me!